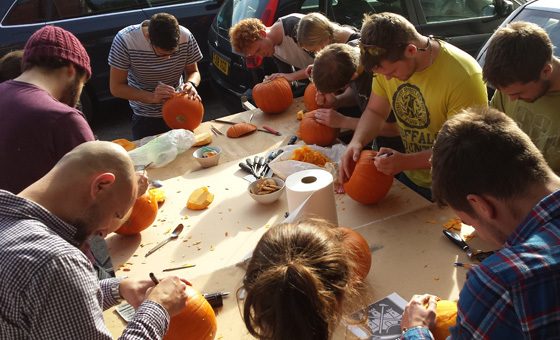 We are in the run-up to our third annual Halloween Pumpkin carving competition, the #AmalgamCarveOff, and being professional makers we are in with a good chance – however, the competition is stiff. 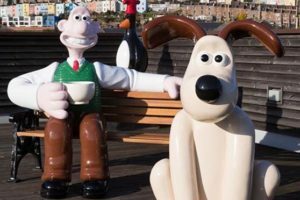 With sculpting vegetables at the forefront of most people’s imaginations this week, it’s worth talking about the sculpting services we can offer, the projects we’ve worked on, and the role this traditional skill plays in the age of 3D printing. Our sculpts tend to be one-off, bespoke pieces, but in some cases serve as casting masters to create multiple copies in different materials. 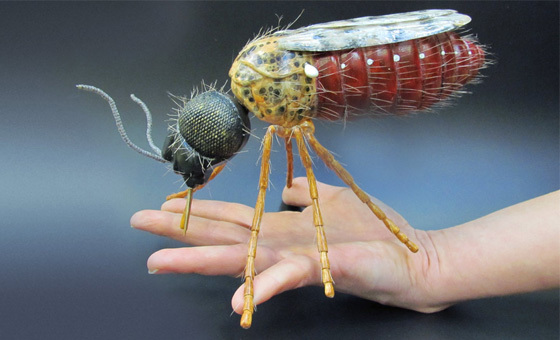 The Big Midge for BBSRC has been artworked to high levels of realism, and beyond hand-making and paint finishing required no further processes. The Rats of Medusa, for the BBC fantasy series Atlantis, took some thinking about how to create a texture that was both fur and stone. We settled on up using a spray effect over hand-worked textures. We made Colin the Otter for Project Splatter, a nationwide campaign to quantify the effect of roads on wildlife by using social media to track animal death blackspots. The model is a game, where players must reassemble his internal organs back in his chest cavity in the correct order. 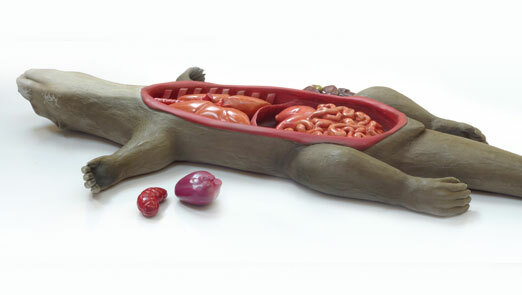 These organs were hand-sculpted from photographic reference of real otter autopsies, which took both a keen eye and a strong stomach. The final sculpts were artworked to a glossy wet-look finish, in some cases with fine airbrushed veins and arteries. After a first round of interaction with members of the public, we created a second set of organs – this time, cast in soft, squishy, flesh-like materials. These new organs had the advantage of being more durable, and added a gruesome tactile element to the game. 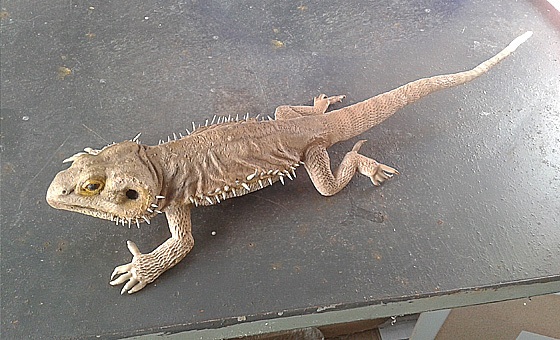 A particularly satisfying project, this bearded dragon was cast in a soft flexible material, designed to ‘flop’ and hang as the real animal would when lifted under the body. 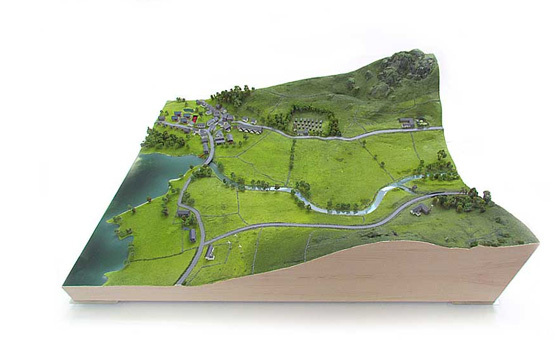 We can also create landscaped architectural models, such as this model for the Lake District National Park Authority. The model itself is generic, but the distinct geological features of the Lake District – fells and clumped volcanic uprisings – are recreated as faithfully as can be achieved at this scale. 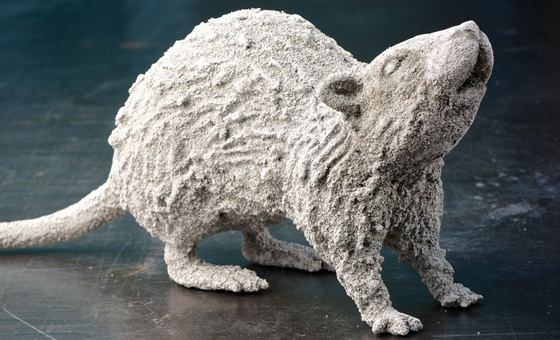 Various sculpting techniques were used to create the forms from soft polyurethane foam, include sandblasting and scrubbing the surfaces with coarse wire brushes, as well as a form of ‘controlled smashing’ to make crumbly illuvial scree. 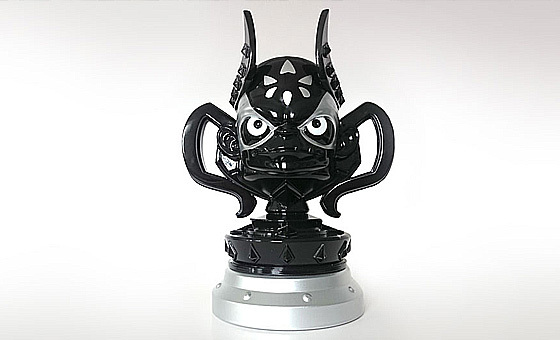 More recently, we have been commissioned to make over 40 Kaos Trophies, featuring the popular Skylander computer game villain. The casting masters for these striking objects were not handmade, but 3D printed, cleaned by hand to a gloss finish, and vacuum cast as separate components. While some would consider creating models this way – in the virtual realm, with no honest mess – as being the death knell of traditional sculpture, the same understanding of form, proportion, aesthetics and attention to detail are necessary. The software used in these instances isn’t replacing the sculptor, it’s replacing clay. 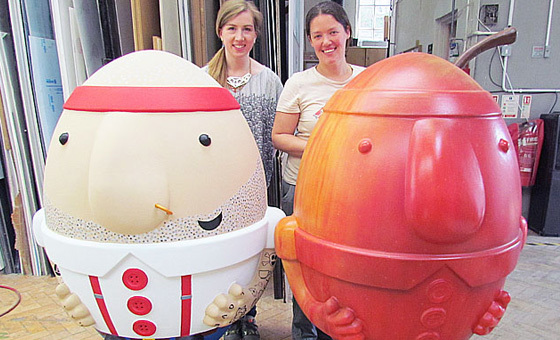 A great example of the relationship between sculpting and contemporary manufacturing processes is our Scrumpty character. 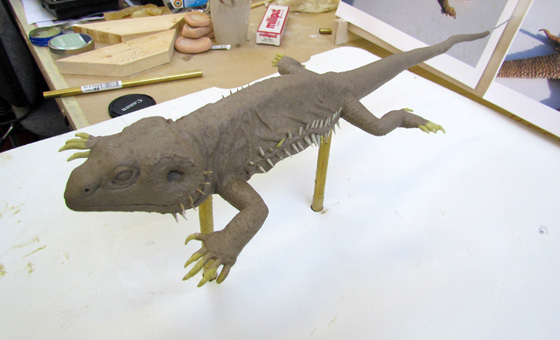 The first incarnation of the character was a hand-made master, which marked the end of the design process and a true realisation of the final design. 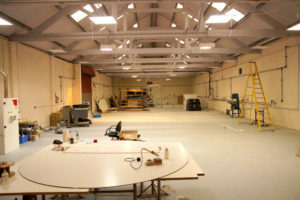 From here, the rest of the project became more technical in nature. 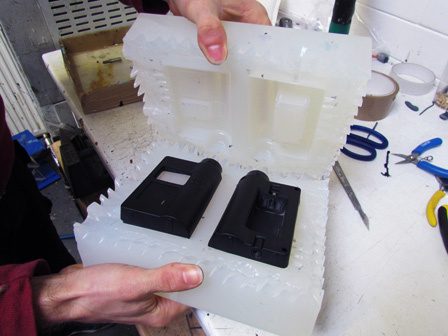 We took the sculpt as a reference for generating CAD, largely a ‘refining’ process, where 3D modelling software and CNC machining allowed us to create smooth graphic surfaces, symmetry, tolerances, and minor modifications to allow the huge shape to be cast in fibreglass.